- Glow in the Dark Golf Balls with Inserts! - Every Golf Ball Comes with 1 Glow Stick! - Economical, Re-Usable and Reliable! - Glow Golf Tournaments! Night Chipping Contests! - Glowing Mini Golf! Backyard Fun! 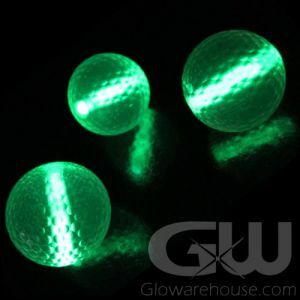 Light up your balls and hit the links with Glowarehouse.com's Glow in the Dark Golf Balls! Just like the real thing except that they glow with a bright color of your choice! Use them for fun night golf tournaments, glowing chipping and putting contests, backyard mini golf or full size glow in the dark miniature golf courses. These economical Night Golf Balls use the 1.5" "Mammoth" Mini Glow Sticks to light them up - and when you're done, save the ball and insert a new glow stick the next time you go out! The hole in the glow golf balls is tapered at one end to tightly hold the 1.5" Glow Stick (1 included) in place and creates the awe inspiring glow effect. Please note that because Green is the brightest glow color, we do recommend that you go with the color green for your golf balls if you are playing full holes of glow golf in your glow golf tournament. 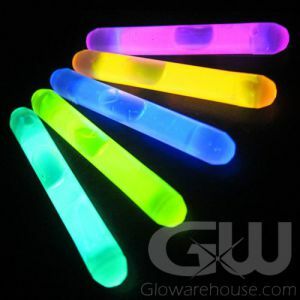 Glowarehouse.com sells only Duralume brand light sticks and glow golf balls, so you know the consistency, performance and reliability of your glow stick golf balls will be exactly what you want and need. Need some help or have a question about setting up your own night golf tournament? Just give us a call, toll-free, at 1-877-233-GLOW(4569). 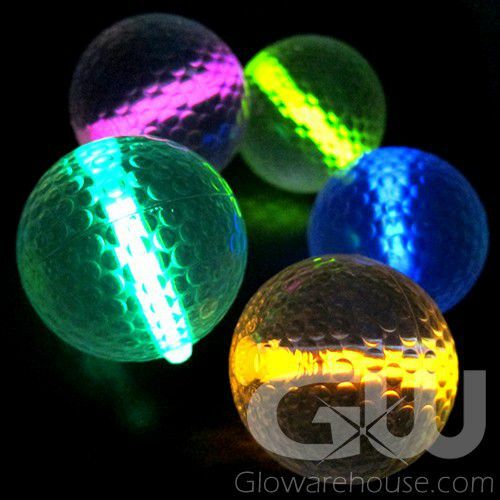 Glowarehouse.com has been helping fellow golfers set up their night golf tournaments since 2006!